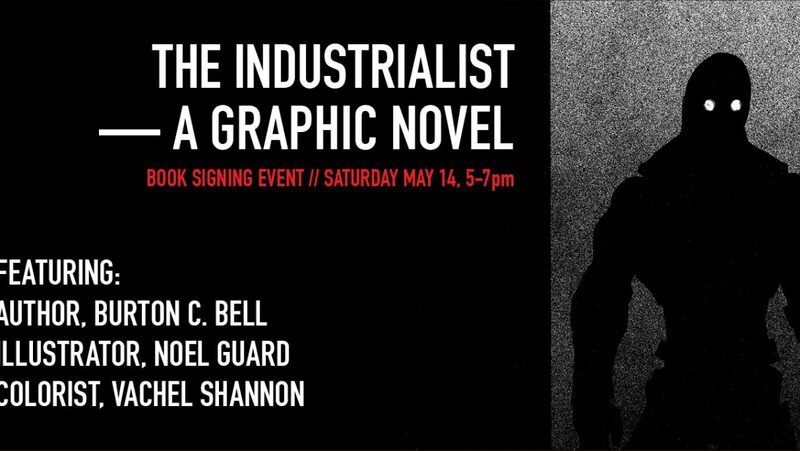 The Greene County Council on the Arts has partnered with Kirwan’s Game Store to host a book-signing event for the groundbreaking graphic novel “THE INDUSTRIALIST,” story by heavy metal legend Burton C. Bell, illustrations by British illustrator Noel Guard, color by Vachel Shannon. 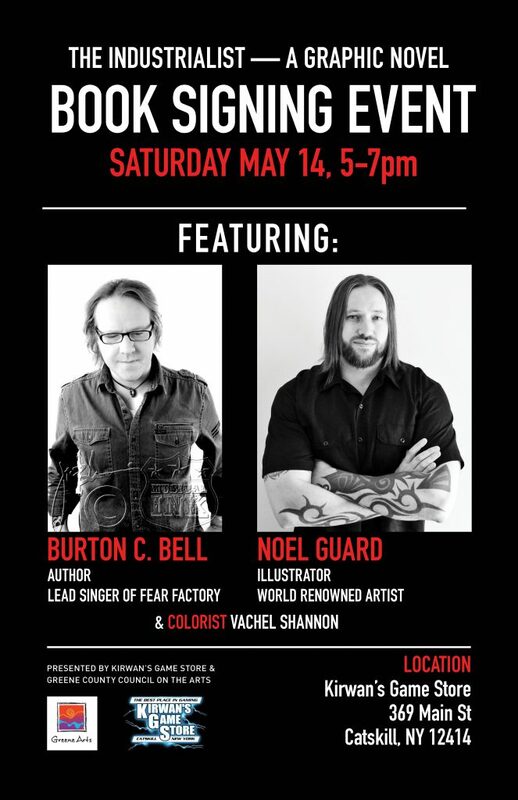 All three artists will be at the book signing on May 14!! “The Greene County Council on the Arts is proud to present a new group exhibition dedicated to the art of storytelling called “Words and Images.” Featuring the work of over a dozen local and international artists, the Words and Images show will include animated short films, graphic novels, illustrations, sculptures, photographs, zines, as well as mixed media. At the center of Words and Images is the international debut of the entire graphic novel “The Industrialist,” story by Burton C. Bell, lead singer of heavy metal band Fear Factory, and illustrations by British illustrator Noel Guard. The Industrialist novel is intended as a companion piece to Fear Factory’s latest concept album The Industrialist. – Greene County Council on the Arts, 398 Main Street, Catskill, NY. For more information on GCCA Visual Arts Program and this exhibit visit www.greenearts.org.